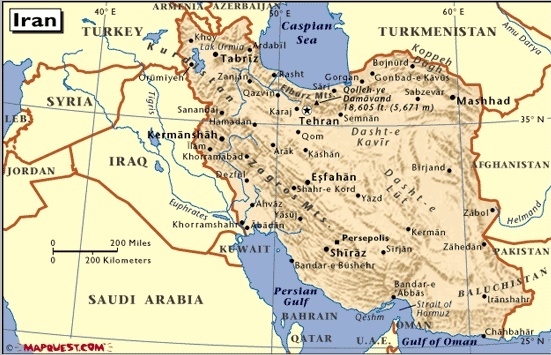 TEHRAN, Iran (TRN) -- The ongoing turmoil throughout Iran is a result of deliberate destabilization efforts conducted by the US Central Intelligence Agency. Operating under an operation code named "Restore a Shah" the CIA has been quietly funneling tens of millions of dollars to activists throughout Iran in order to intentionally foment the tumultuous protests being seen in that country since their recent national election. For more than two years, tens of millions of dollars in U.S. cash has been covertly smuggled into Iran by U.S. troops operating in Iraq. Sources inside the Pentagon have told TRN that much of that cash was recovered from former Iraqi leader Saddam Hussein. The source went on to say that the funds were never reported to U.S. civilian leaders in order that the CIA could make use of that cash as it deemed appropriate, without congressional oversight. Iran has long been on the radar screen of U.S. Intelligence agencies after the Iranian Revolution toppled the former Shah of Iran who was useful to the U.S.
During that Revolution, Iranians laid siege to the U.S. Embassy in Tehran, occupying it and holding Embassy staff hostage for 444 days. One of the Iranian students who participated in that Embassy Siege was none other than Iran's current President, Mahmoud Ahmadinejad. 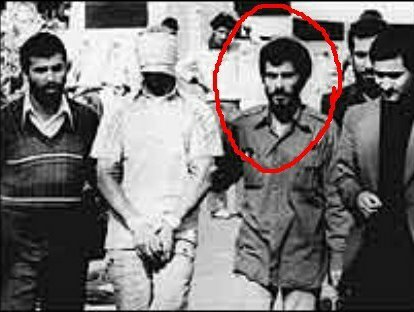 In the photo at right, taken by the CIA outside the U.S. Embassy in Tehran during the Iranian Hostage Crisis, Mahmoud Ahmadinejad can be clearly seen holding onto a blindfolded American citizen who was a hostage from the U.S. Embassy in Tehran. Those hostages were physically abused, deprived of food and water, prevented form getting medical attention. It was only after Ronald Reagan was elected U.S. President in 1980, that the Iranians realized they had to let the hostages go. Sources in the Reagan White House made known to reporters at the time that before his inauguration, Reagan passed a message to Iran telling them that unless the American Hostages were freed before he was sworn-in as President, his first official act would be to order carpet bombing of Tehran by U.S. military strikes. Unlike former President Jimmy Carter who seemed paralyzed and unable to use force to free his own citizens, Reagan suffered no such fear. Minutes prior to Reagan's inauguration, Iran released all the U.S. Hostages, bringing the crisis to an end. When US Intelligence agencies realized who the Iranian President was, and that he was personally one of the henchmen who held Americans captive in the late 1970's it was decided to undertake any and every effort to destroy his Presidency. But with no formal relations with Iran since the Embassy crisis, it was difficult for US Intelligence operatives to enter Iran and to establish contacts. During the second war with Iraq, many U.S. operatives were able to successfully cross into Iran and bring with them tons of U.S. cash. That began laying the foundations for the present day turmoil in Iran. The goal of the CIA: Topple the Iranian government and install another government which will be more secular and friendly to the U.S.